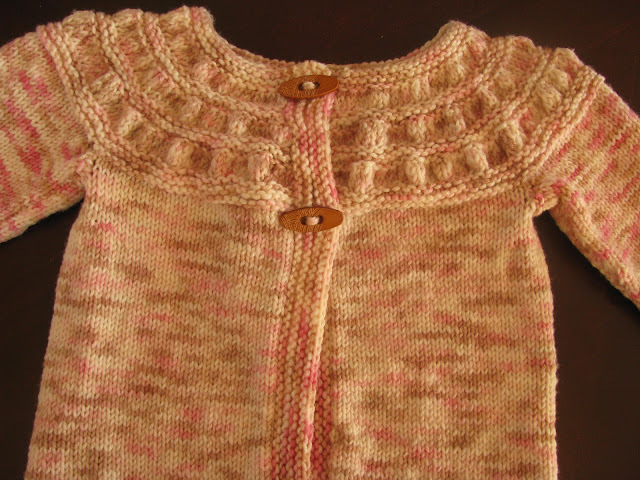 This morning I sewed two little toggle buttons to finish Audrey's Tiny Tea Leaves Cardi. I'm really happy with how it turned out. I followed the pattern for the 4T size so it has a roomy fit and hope Audrey can wear it for a year or two. 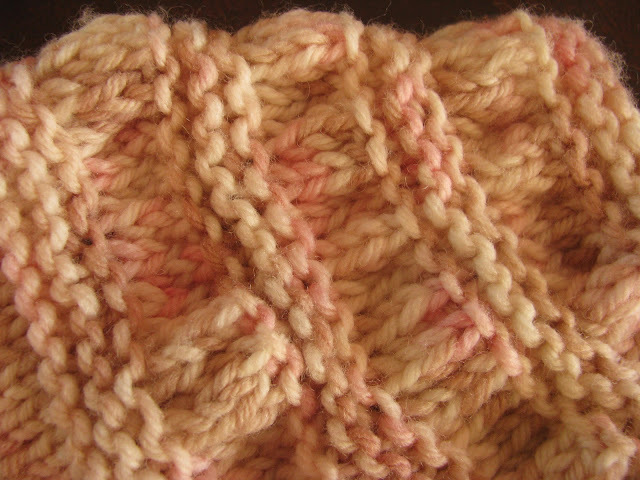 The gathered rows at the top are both fun to knit and really pretty, I think. This was my first attempt at adding a button band, it turned out ok. I used this yarn in Petal Shower. My Vitamin D sweater is waiting for blocking and I've started a little orange something for Colton. Updates to follow!